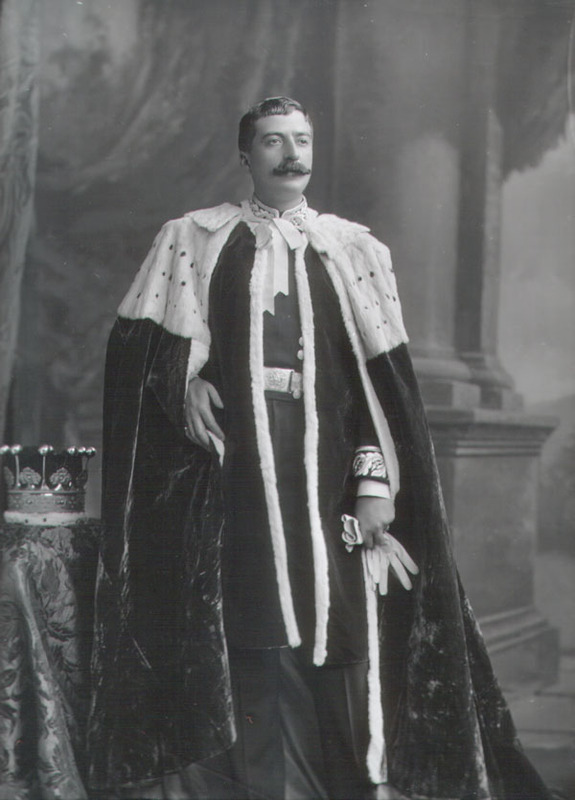 Henry Alexander Gordon Howard, 4th Earl of Effingham (1866-1927). Sitter: Henry Alexander Gordon Howard, 4th Earl of Effingham (1866-1927). Biog: Liberal Unionist Peer & Landowner. Biog: Burke's Peerage; The Complete Peerage; Who's Who; The Times, 10 May 1927 p. 21b. Costume: H. Graham Bennet, "Dress worn by Gentlemen at His Majesty's Court", London, 1903.